What I already knew was reinforced at the Free-Motion Quilting Workshop I attended with the Seattle Modern Quilt Guild yesterday. Whew. It really takes focus and oodles of practice. Our teacher was Christina Cameli/A Few Scraps. 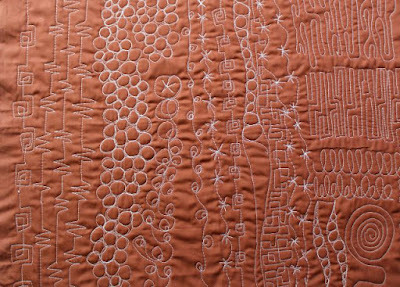 Christina has authored two books on the subject First Steps to Free-Motion Quilting and Step by Step Free-Motion Quilting, and you can find her on instagram as @afewscraps. 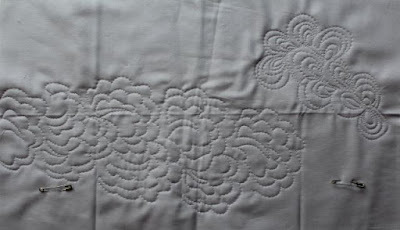 If you know me at all, you'll know that free-motion quilting isn't in my routine quilting repertoire. 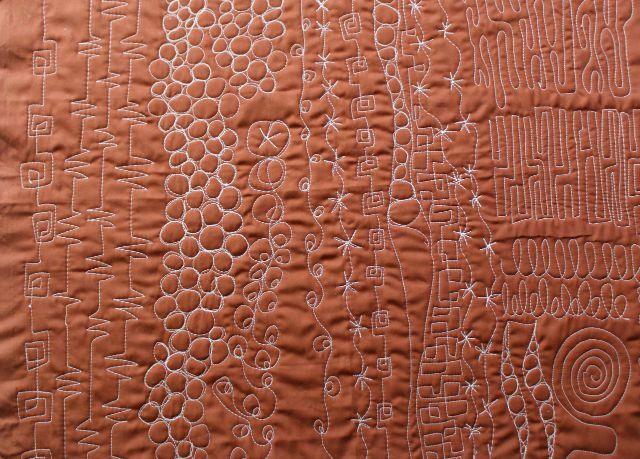 In fact, I looked back, and it's been 18 months since I free-motioned a quilt. But when the opportunity presented itself to refresh my skills with a gifted quilter, I took it. 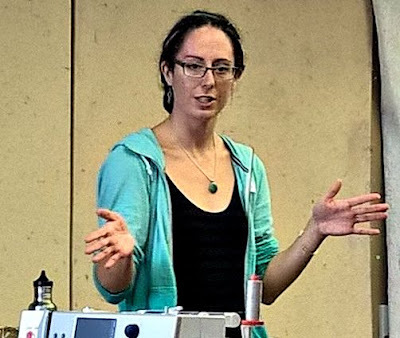 Throughout the day, Christina demonstrated a variety of techniques and gave us lots of tips. Then we had plenty of practice time. Obviously more of that will be the key to my success in actually using free-motion on a quilt! For the sake of full disclosure, here's a glance at my practice pieces. Some stitches look hopeful, and others not so much. 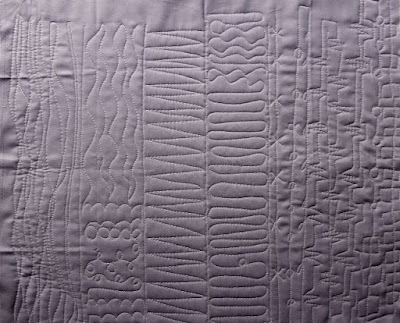 Don't expect an immediate transformation in my quilting, but I'd like to incorporate some free-motion into my repertoire at least. It's nice to have options, right? We'll see where I go with it . . . I am wondering about what sort of machine you have or used for this? It looks great, to me! I know that I need to really practice some of these designs because I want to be better and be able to actually do them. I really need to take a class or workshop. looks like a good start for you! I would love to do more FMQ, I just never practice! You did a fantastic job, makes me want to try even harder! I love her Craftsy classes and even bought the two books - looks like a brilliant workshop! Good luck! I've taken a free motion class twice. I do great while in class but at home my tension just gives me fits. I've learned to be creative with my built-in walking foot and I have a pretty good harp space so I'm not too terribly upset about it. I have the itch to try again - maybe at a sew-in next time. Keep at it! Oh fun, I love her! I've taken one of her craftsy classes and would love to have an in person class. Looks like it was fun! Your practice ones look great!